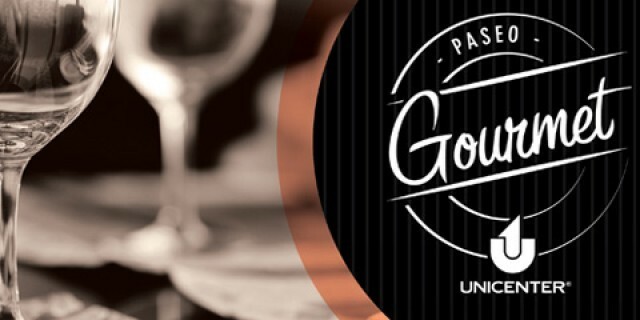 “Gourmet Hall” is a circuit of first class restaurants located in Unicenter Shopping Mall. “Gourmet Hall” is a circuit of first class restaurants located in Unicenter Shopping Mall. What we did first was to redefine its graphic identity by changing the logotype. After that, we developed different communication pieces such as a commercial for the fourteen cinemas in the same mall. Based on the claim “While you are enjoying the movie, we are cooking the best dishes for you to taste afterwards”, the short film appeals to the senses by showing close-ups of deliciously tempting food and the expert hands of the chefs that cook in these restaurants, where they offer a variety of the best international cuisine in an intimate atmosphere inside Unicenter Mall. Also, there is a series of communication pieces that can be seen at strategic locations around the shopping mall.